She is America ’s one of the most important women of the 20th century, who was instrumental in remodelling the scenario of women’s tennis. Her urge to fight and fix the gender inequality in tennis had led has to the revolution of the feminine tennis domain. 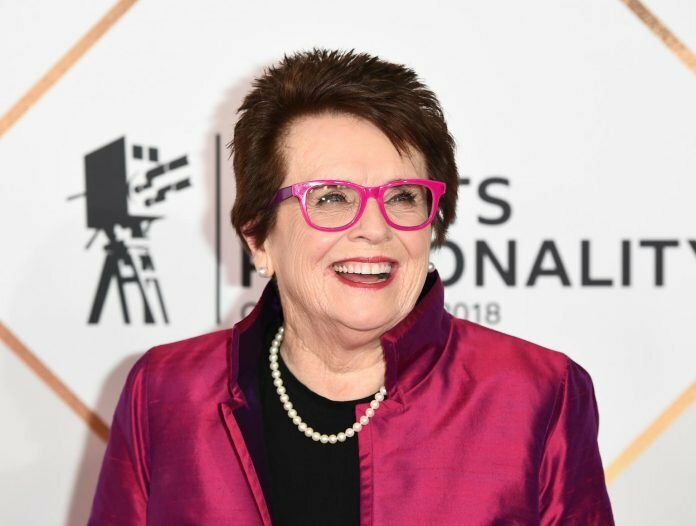 The influential visionary of gender equality and social justice, Billie Jean King emerged to be the founder of the Women’s Tennis Association. Her on-court glory of 39 Grand Slam titles is overshadowed by her ever-evolving legacy in women’ tennis. In 1973, she played a revered tennis match against the former World Number one on the men’s tour, Bobby Riggs. 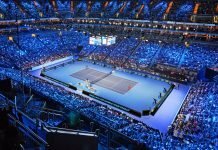 This battle was more than a tennis match, it predominantly incorporated the fight to abolish the injustice in tennis which was dwelling at that time. 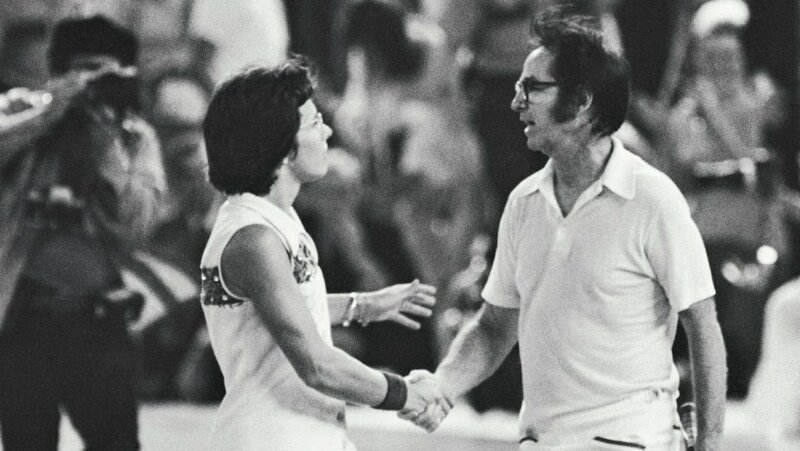 That day, Billie Jean King broke the glass ceiling and defeated Riggs in straight sets, 6–4, 6–3, 6–3 in “Battle of the Sexes.” Over and above that, the match garnered a record-breaking viewership of 90 million viewers worldwide. 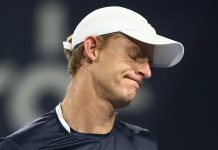 “I thought it would set us back 50 years if I didn’t win that match. It would ruin the women’s (tennis) tour and affect all women’s self-esteem. To beat a 55-year-old guy was no thrill for me. The thrill was exposing a lot of new people to tennis,” she said when the match concluded. 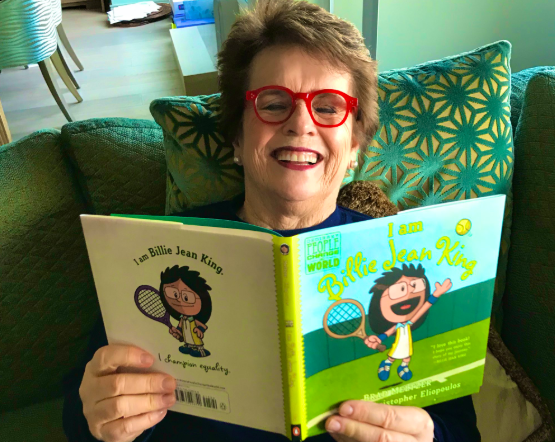 A friendly and a fun biography on King is out in bookstores, which is penned by Brad Meltzer and titled, “I Am Billie Jean King”. It features the world champion, Billie Jean King and her pioneering works in women’s tennis. 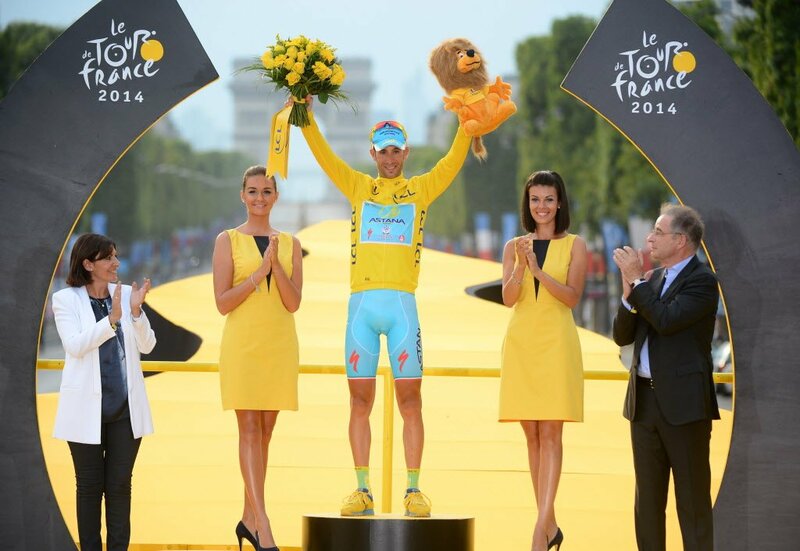 And yes, of course, it depicts ordinary people change the world. One of the pages in the book comprise a cordial first meeting between King and the Williams sisters and (King claims it to be her personal favourite page in the book). It portrays Venus and Serena’s introduction to tennis and Richard Williams source of inspiration to put his daughters into tennis. The book communicates to the youngest nonfiction readers in a conversational and a dynamic manner. It is an inspirational volume for children. 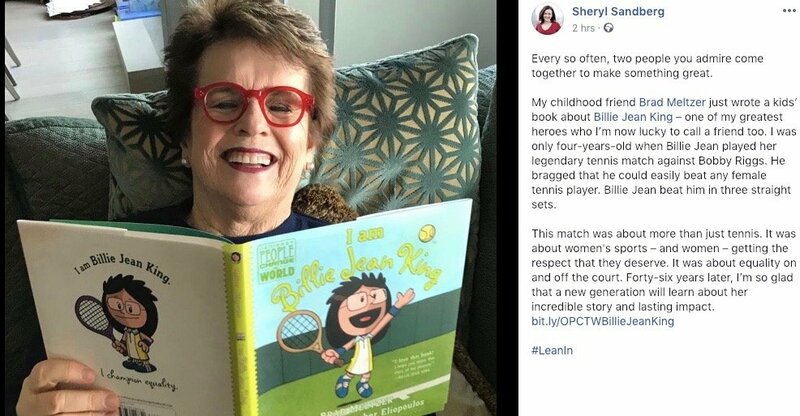 The Chief Operating Officer at Facebook, Sheryl Sandberg shared her joy after coming across the “I Am Billie Jean King” book. She claims King to be one of her greatest idols in this world. Forty-six years after the revolutionising tennis match, Sandberg pays her love and respect towards Billie Jean King. Previous articleHaas Looking to Start an Energy Drink War?